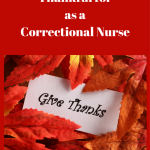 She became interested in the subject as she visited clinical settings where Duke nursing students were sometimes assigned to inmates who were in the acute care setting for surgery, childbirth, or emergency care. The students had some common concerns about dealing with incarcerated patients. This situation also provided an opportunity to practically apply concepts from the Code of Ethics; helping to guide moral formation. Students can pick up attitudes of staff nurses on the units; both good and poor. 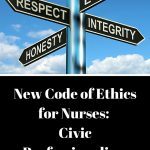 A judgmental attitude can influence care delivery and needs exploration in relation to professional nursing practice. 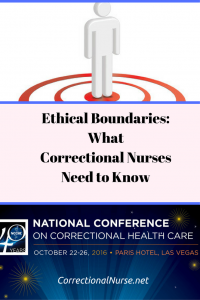 Respect, care, and concern are important nursing values no matter the patient population. 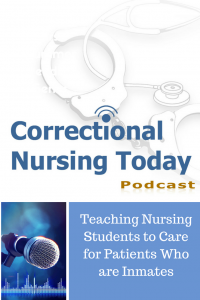 Caring for patients who are inmates provides nursing students with an opportunity to explore these values when caring for patients who may be very different from themselves. 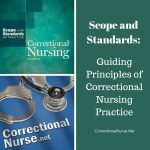 The question of patient treatment allows for dialogue about the nursing values of human dignity, respect, and compassion. Dr. Ashton reports many differences of opinion among students when working through this case study. 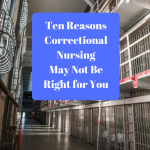 While the nurses in the Duke University School of Nursing have only had exposure to inmates as patients in acute care facilities, she is open to the idea of student experiences in healthcare units in correctional facilities. Barriers such as security clearance and personal safety must be overcome. What do you think? 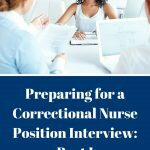 Share your experiences as a student caring for inmate patients or in having nursing students in your correctional setting.